This is the next post in our series on the handling of car accident cases in Atlanta, Georgia. Our last post discussed the role of experts in auto wreck cases. It is important to understand that experts may be required in matters which involve serious injuries or disputes over liability. It is important that you retain a lawyer experienced in dealing with such experts. In this article we will discuss what it is a victim and their loved ones should expect from the trial process. Preparing for trial can be a stressful time and knowing what to expect from the process can help to ensure that things go as smoothly as possible. If you have been injured through no fault of your own then contact our office today to speak with a personal injury attorney. Trial will begin with the selection of a jury. The jurors will be selected from a pool of candidates who have been summoned to court for jury duty. The lawyer for each side will ask questions of the potential jurors, a process known as voir dire, in order to determine whether an individual is capable of being impartial. The judge may also ask questions of the potential jurors. If it is clear from someone’s answers that they cannot be impartial then the court may remove them for “cause.” The attorneys for each side will also be able to remove a set number of potential jurors through the use of challenges. It is important to note that a potential juror may not be challenged for reasons involving ethnicity, gender, religion, or some other protected characteristic. Once the final group of jurors has been selected then they will be empaneled. The attorney for each side will make an opening statement. Opening statements are not a time for argument. Instead, this is a time at which counsel for each party will inform the jurors of the type of evidence they can expect to hear and the relief that will be requested. The plaintiff will present their evidence and witnesses after opening statements have been made. The defense will then present their evidence and witnesses. The plaintiff will follow with “rebuttal” evidence. Rebuttal is not a time to introduce new facts or raise new arguments; the plaintiff may only use rebuttal to address facts or arguments explicitly made by the defense. Closing arguments will then be made by each side and the jury will deliberate. A verdict will be delivered through which the jury will announce whether the defendant is liable for the accident, whether comparative fault applies, and the amount of compensation which the plaintiff is to receive. The court will then adjourn. Trial is a highly complicated process. 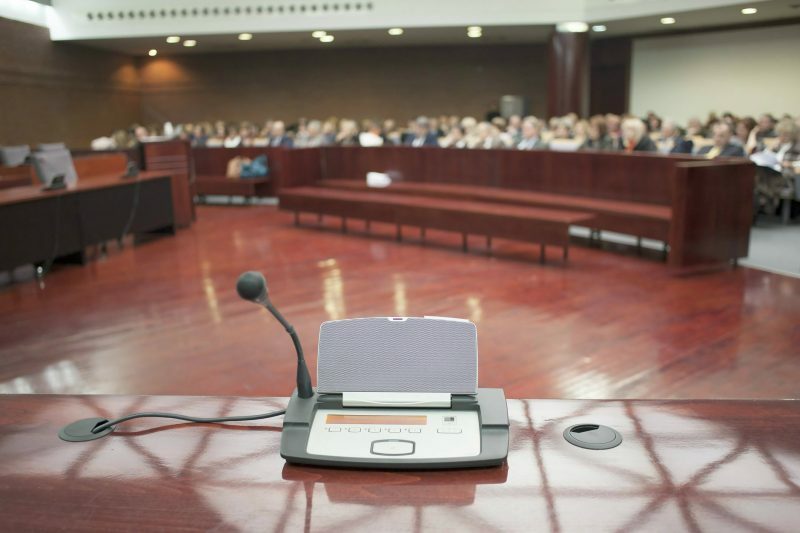 The proper selection of a jury requires a victim’s lawyer to know which questions to ask and to properly follow up on matters which may make a potential juror unsuitable for service. The rules of evidence will then be strictly enforced once trial begins. Retaining counsel not familiar with these issues can result in a victim’s case not being properly handled. Our Atlanta car accident lawyers are experienced in litigating such matters and are ready to assist you with the trial process. Call our office today to schedule an initial consultation. We also service the greater metro area, including Macon, Savannah, Athens, Kennesaw, Marietta, Decatur, Dunwoody, Stone Mountain, Tucker, Alpharetta, Roswell, Sandy Springs, Duluth, Lawrenceville, Lilburn, Norcross, Gainesville, as well as the counties of Bibb, Chatham, Clarke, Cobb, DeKalb, Fulton, Gwinnett, and Richmond. Can Federal Employees Sue For Wrongful Termination? We aggressively represent federal employees in EEOC claims, MSPB appeals, and discrimination claim. We sue the government on behalf of veterans seeking disability benefits. We help family’s plan for the future with wills, trusts, advance medical directives, and probate litigation. We defend the injured in car accidents, slip and falls, negligent security in apartments and businesses, and nursing home abuse cases. Jonesboro, Riverdale, Fayettville, College Park, Forest Park, Lovejoy, McDonough, Hampton, Locust Grove, Decatur, Morrow, Macon, Rex, South Fulton, Ellenwood, East Point, Lake, as well as the counties of Clayton, DeKalb, Fulton, Henry and Spaulding. © 2018 Obiorah Fields, LLC All Rights Reserved.